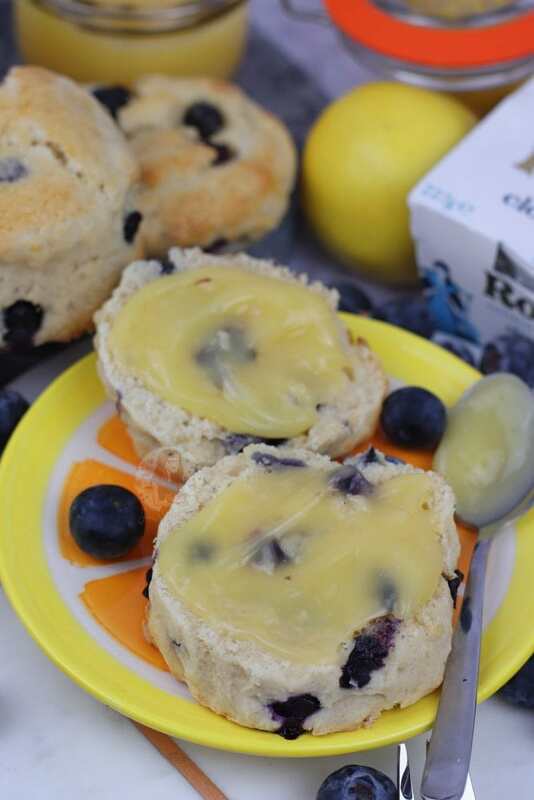 Delicious Fresh Lemon and Blueberry Scones with Clotted Cream and Lemon Curd. I am a massive fan of Afternoon Tea, and Afternoon Tea just wouldn’t be the same without Scones. I’ve been to a fair few different places for Afternoon Tea such as my local cafes, the Savoy in London, and some random spas in the country side… and Scones are an integral part. It’s kind of like a right of passage in an Afternoon Tea. Without them… surely its just delayed lunch or early dinner?! I have my Classic Buttery Scones and my White Chocolate & Cranberry Scones, and my Fruit Scones on my blog already, and I love them all. 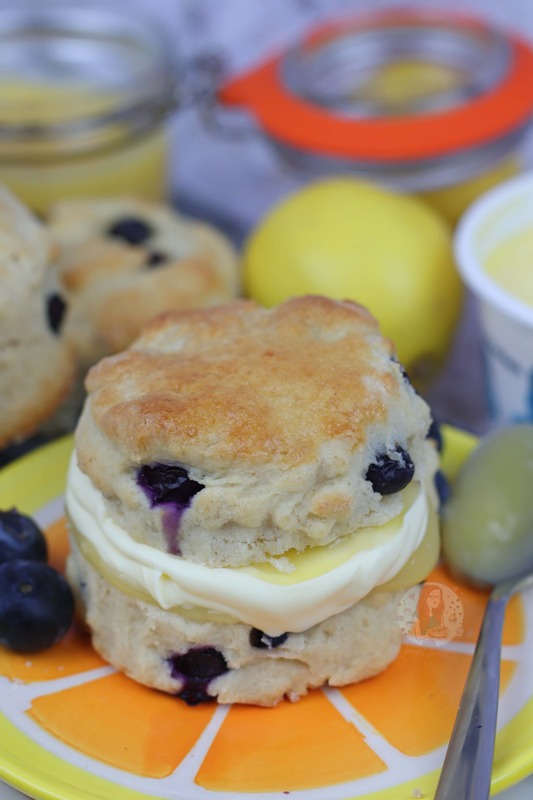 However, as you might have been able to tell, I am really into my Lemon and Blueberry themed goods at the moment… and scones are no different. 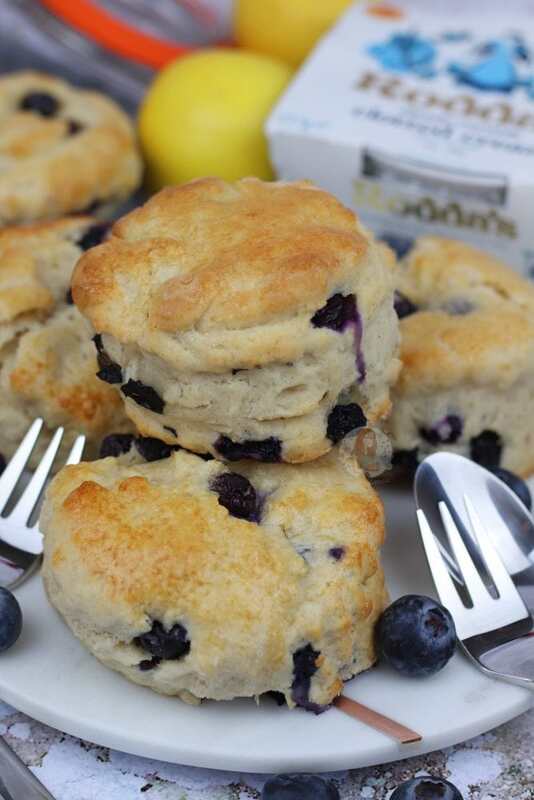 Who doesn’t like the idea of a little pocket of fresh Blueberry in a scone?! I have made these a good few times now to work out what I like best, and to be honest… they’re basically a carbon copy of my Fruit Scones, but swapped over. 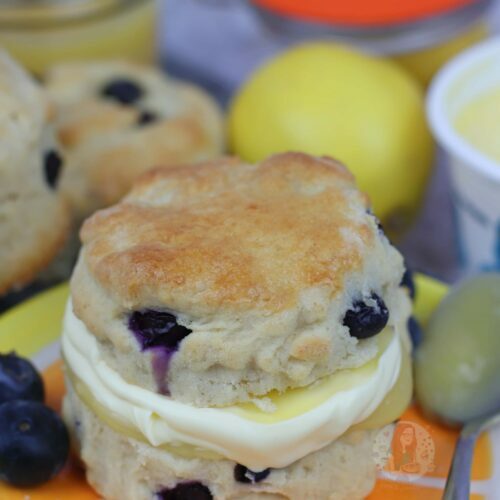 Add in a little more fresh lemon juice, a little lemon zest, and some fresh blueberries… and you’re on to a winner. I have tried this recipe with frozen blueberries, and it got a little messy. I did use a few too many frozen blueberries, which might have contributed to the issue. 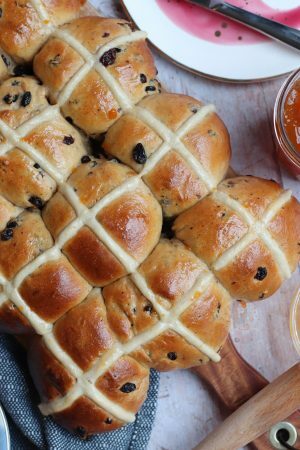 Even when I reduced them, when I was kneading them into the dough, I found it was just creating so much moisture in the dough itself, and I hadn’t even baked them yet. You can obviously give the frozen blueberries a go, and you will probably have much more luck than me… but I just preferred the fresh. You don’t want to out looooads into it, otherwise you’ll have a moisture issue. I found the 150g of fresh blueberries to be perfect! 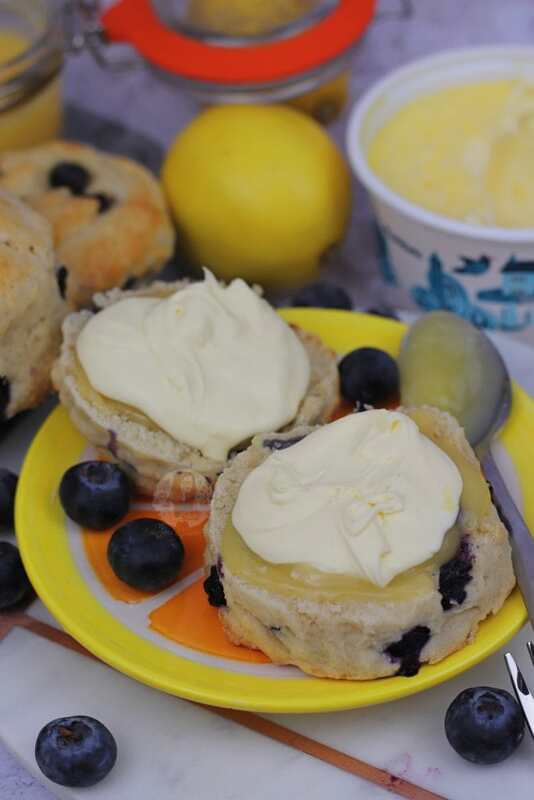 I decided to serve my Lemon & Blueberry Scones with some of my Homemade Lemon Curd, and a massive dollop of Rodda’s Clotted Cream. Honestly? You can NOT beat Rodda’s. It’s made in Cornwall, and it just has the most wonderful taste in the world. I would happily top all of scones and pudding and everything with Rodda’s clotted cream if it was acceptable. You could use Blueberry Jam on top, which I have also done, alongside the clotted cream, and it was INCREDIBLE. However, I was in a bit more of a Lemon Mood when I made these particular ones that I decided to photograph. Out of the batch you don’t get ~loads~ of scones, but as a relatively small family, about 7-8 decent sized scones is the best. You can make smaller ones, or even just make a large batch of dough, and score it into triangles (like they do in America mainly) but whatever. 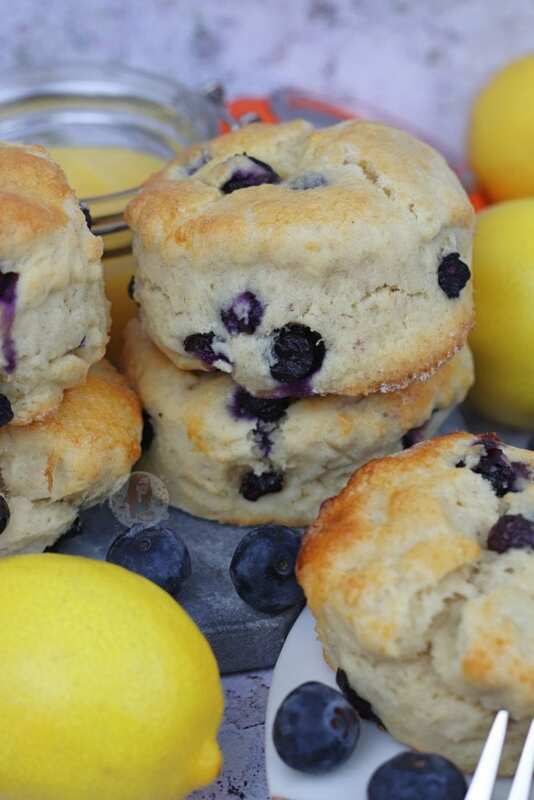 Scones are scones, and I LOVE these ones. Enjoy! 1 Egg, beaten, for glazing. Preheat your oven to 220C/200C Fan, and place a lined tray in the oven to preheat. Tip the Flour, Salt, Baking Powder, and Butter into a food processor and pulse until the mixture resembles bread crumbs. Pour the mixture into a large bowl, and stir in the sugar. Add the Lemon Juice in. Heat the Milk in the microwave or on the hob so it becomes warm, but not hot. I usually heat it for about 30-40 seconds in the microwave. Add the Milk into the rest of the Mixture, and stir with a spatula as it'll be very wet at first. Make sure the dough is mixed well, and add in the blueberries. Sprinkle some extra flour onto the work surface, and turn the dough out onto it and gently roll it out, or press it down, to be about 4/5cm thick. Using a 5cm cutter, cut out the scones - you'll have to re-roll the mixture a couple of times to get them all out of the mix. Take the tray out of the oven, and put the scones onto it. 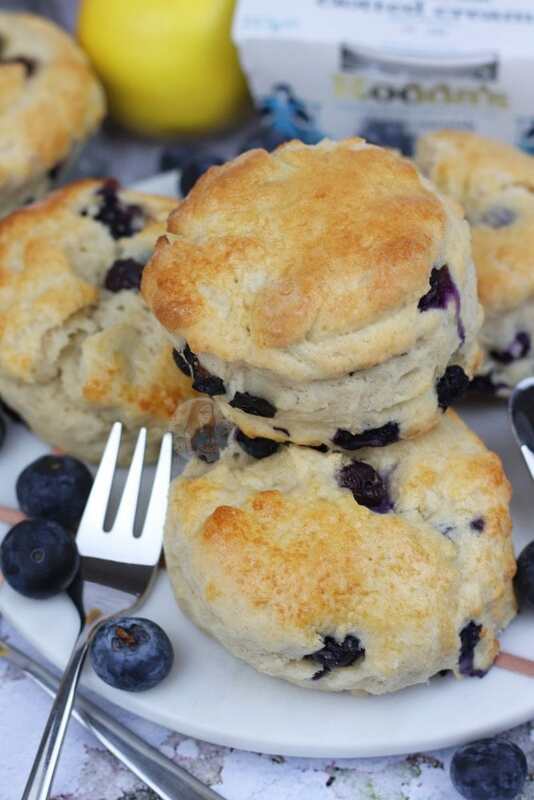 Brush the top of the Scones with the beaten egg mixture and bake in the oven for 10 minutes. Leave to cool for at least 10 minutes once they're out so you don't burn yourself. And then, enjoy! You could easily make smaller or bigger scones if you wanted, but adjust the baking times accordingly. These are best on the day of baking, but they will last for two days after. I have tried these with frozen blueberries, and in my opinion it doesn't work. They produce too much liquid and ruin the scones. You could swap the fruit for others, but beware blueberries are quite small and everything else is larger. Keep to the same amount, but chop up the fruit so they're not too big. 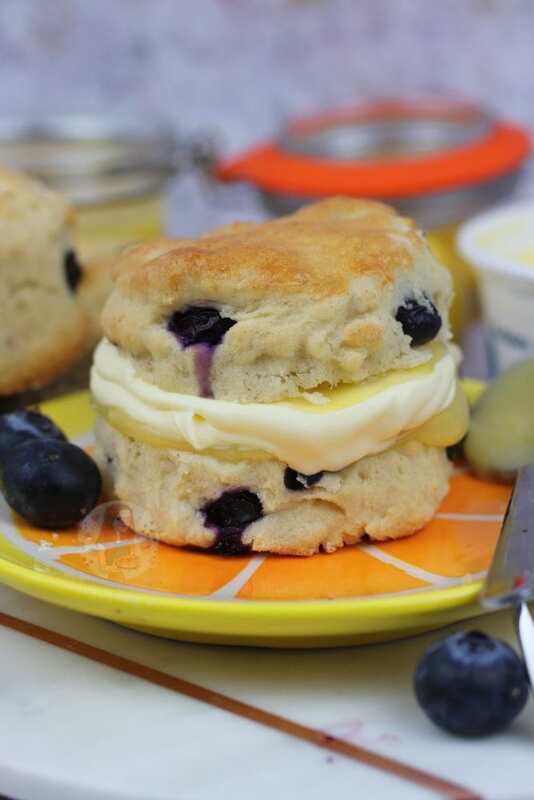 I served mine with a dollop of Rodda's Clotted Cream, and Homemade Lemon Curd. Find my other Afternoon Tea Recipes on my Recipes Page! © Jane’s Patisserie. All images & content are copyright protected. Do not use my images without prior permission. If you want to republish this recipe, please re-write the recipe in your own words and credit me, or link back to this post for the recipe. 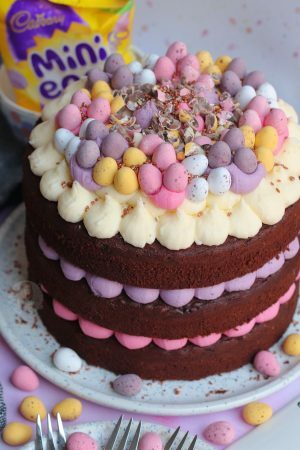 Older Next post: Gluten & Dairy Free Chocolate Cake! 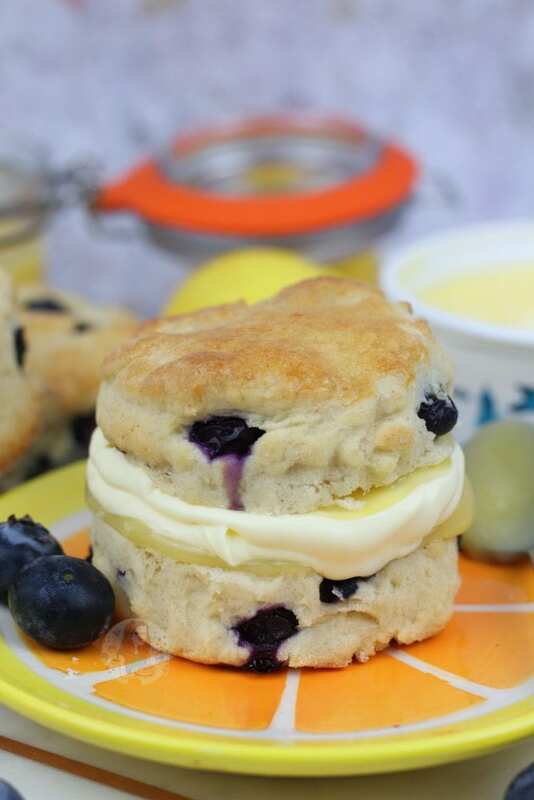 As if those scones aren’t delicious enough on their own, you go and add two of my favourite things: lemon curd AND clotted cream – swooning here! Hiya! I’m Jane, and I love baking. 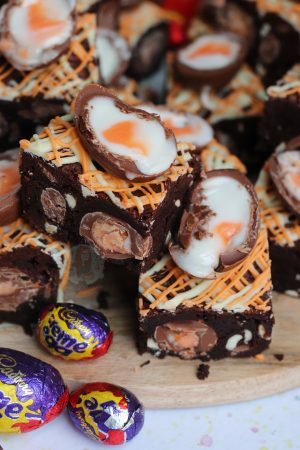 I hope you enjoy my blog full of recipes for all abilities, and for you all to devour!